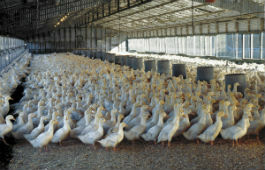 The poultry industry is an important component of the agricultural sector of New South Wales producing meat, eggs and other quality products such as goose down. The industry is a leader in market development and use of technology. Various breeds of fowls, ducks, turkeys, geese, quail and pheasants are kept in domestic or farm environments. Industry overviews provide a comprehensive snapshot at a point in time of what the NSW poultry industry looks like and what it contributes to the economy and community of NSW. Magazine now available for download. Poultry care for the home flock. More courses available.